Unfortunately accidents happen and motor bike deaths have become a common occurrence. Here are some ideas that can help you organize a funeral for your loved ones. Are you looking for something new and different for a loved one’s funeral? Do you believe they deserve more than just the typical ceremony and want to give them a bit more? There are numerous funeral memorial ideas that you can incorporate into the ceremony that are tasteful and respectful, but offer more than stories and ceremonies. When we lose a loved one, it can be very difficult. We want to give them a send off that they would have enjoyed, and something that will help those left behind to cope with the loss. Going the extra mile to accomplish this can make a big difference. There are some funeral memorial ideas that will help deal with the loss, and will speak to the kind of person the lost one was. Provided here are some unique, some simple, and some treasured ways to add something more to your loved one’s memorial. You may want to choose a special location or setting – Where the service is held can set the mood and atmosphere. If the deceased was not a religious person, then the options are more open. You could bring the service to a park, riverside, lodge, or marina. Someplace that really spoke to the departed is a great choice. If they had an interest, or would always retreat somewhere, this may be the best way to honor them and to say goodbye. You may want to choose a theme or purpose – This can help those coming to the service focus and truly remember the person who has passed. Themes can help you and others in choosing readings, songs, foods, and other items to bring to the service making it comprehensive. Did the person who passed have a hobby or take pride in their career? What about the person’s culture or ancestry? Or you can focus on the relationships. Any of these is a good start in determining a theme. You may want to honor the person by doing something extraordinary. There are many services out there that can honor your loved one in a different way, if you believe that is what they would have wanted. Some will spread your loved one’s ashes from a plane over the ocean. One service even takes a portion of your loved one’s ashes and will launch it into space. Visit Celestis’ website if you are interested in giving the departed an experience they would have never had on this earth by sending them into space. 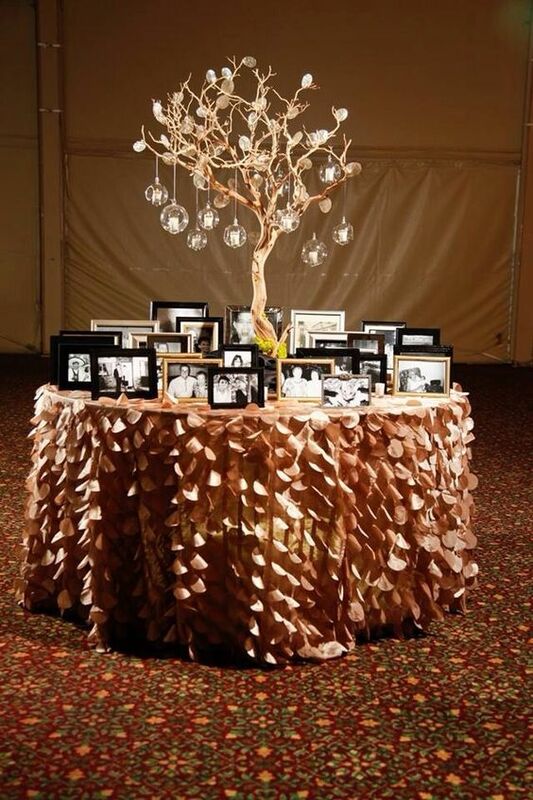 You may want to incorporate a memorial table. This really personalizes a funeral. There is so much you can do with these. They can be filled with pictures and objects from the person’s life. 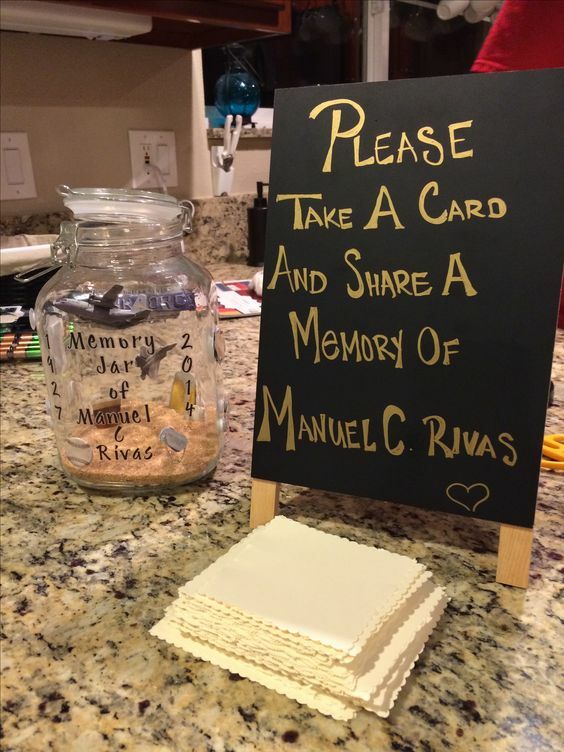 You can even ask guests to bring something if they can to place on the memorial tables. Perhaps you even could create sections for the different stages of the person’s life. The possibilities are endless.